Assist them in transitioning from temporary assistance to employment. Support children while their parent/guardian participates in drug, alcohol or mental health services. 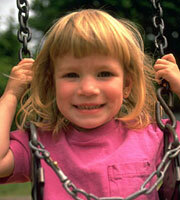 Assist low income working families maintain employment by paying a portion of child care costs. Please note: Due to procedural changes at the U.S. Postal Service, day care checks issued on Thursday will arrive within 2-3 business days. Families with adults who are working, but are earning lower incomes, might qualify for a daycare subsidy. Families with income levels falling within a specific range are eligible. Families who are currently receiving Temporary Assistance should continue to work with their assigned workgroup. This new funding, administered through the Monroe County Department of Human Services (DHS) will provide market rate child care reimbursement to job training participants for the duration of the program and for up to three months following its completion. This window allows participants enough time to secure employment. The goals of this expansion are to increase enrollment in training programs targeted toward individuals living in poverty; reduce dropout rates; reduce poverty through increased educational attainment; and reduce the gap in child care subsidies for families not eligible for public assistance or Income Eligible Day Care. The current Day Care application and child care request form (above) should be used when applying for this funding. Daycare subsidies can only be paid for actual daycare services provided. Monroe County cannot pay for “slots” or transportation provided by you. Make sure your attendance sheets are filled out completely and accurately before asking the parent to sign their approval. You should never ask a parent to sign a blank attendance sheet. Attendance sheets should be signed by you and the parent before submitting them to Monroe County. Submitting unsigned attendance sheets could delay payment. Attendance sheets should reflect the actual time of day that care begins and ends. If a child did not attend daycare due to illness, vacation, or any other reason, that child should be marked on the attendance sheet as absent for that day. Monroe County’s approved Child Care Plan does not allow payment for absences. If you ask parents to sign a contract for your daycare services, please understand that Monroe County is not a party to that contract and therefore is not responsible for compliance with the terms of that contract. If a child in your care attends another program (such as Universal Pre-K) you cannot bill the daycare subsidy program for the same hours the child spends in the other program. Overpayments due to billing errors on your part will require repayment back to Monroe County. Intentional misrepresentation of daycare services provided could result in disqualification from receiving daycare subsidy payments, licensing sanctions, or prosecution for fraud. If a parent is required by Monroe County to pay a weekly parent fee, you must collect the parent fee directly from the parent. Failure to collect the weekly parent fee may adversely impact your ability to receive future payments from Monroe County. Monroe County can only pay for actual daycare services provided, and only for care during the hours of your employment or your participation in an approved activity (plus a maximum of 60 minutes of travel to and from your job or activity). You will be liable for payment to your provider for any care not billable to the subsidy program. Only sign an attendance sheet after your provider has filled it out completely and accurately. Attendance sheets are used to bill Monroe County for daycare services provided to your child, therefore you and your provider are responsible for the attendance sheet’s accuracy and completeness. Never sign a blank attendance sheet. If you sign a contract with your provider for daycare services, please understand that Monroe County is not a party to that contract and therefore is not responsible for compliance with the terms of that contract. You will be liable for payment to your provider for any care that is not billable to the subsidy program. Monroe County cannot pay for any daycare absences, whether due to illness, vacation, or program closures. You must notify Monroe County within ten (10) days of any changes that may affect your subsidy case (change in income, household composition, address, employment, etc). Overpayments resulting from a failure to notify us of changes will need to be repaid by you to Monroe County. Intentional misrepresentations may lead to program sanctions or prosecution for fraud. In collaboration with the Monroe County Department of Human Services, the NYS Office of Children and Family Services (OCFS) deployed and implemented the Internet-based Child Care Time and Attendance (CCTA) tracking system in July 2011. In the time since that initial implementation, we and OCFS have worked with the application developer to improve and enhance the system’s capability. On-line information of pending and processed payments – no more telephone calls. Signing up as a new user is easy. Simply sign the enclosed User Agreement and tell us who the primary system user will be (you can register others, but for now just tell us the primary user). With that information, we will give you a verification code for you to log-on and self-register. Please click on the links below for more information.